I write to you at the request of Madeleine Kura, who tells me the lovely, seaside town of Cesme is about to get half a dozen 3 MW industrial wind turbines built on the edge of town, a mere 500 m from people’s homes. (I’m told that at least one of the turbines will be 300 m from a school.) Furthermore, all this construction will be in hilly terrain. Let me explain, clinically, why this is a bad idea. In 2009 I published what was then the definitive study of health effects caused by wind turbine infrasound on people living within 2 km of industrial turbines. The book, “Wind Turbine Syndrome: A Report on a Natural Experiment” (K-Selected Books), included 60 pages of raw data in the form of case histories (using case cross-over studies), demonstrating that living in proximity to wind turbines dys-regulates the inner ear vestibular organs controlling balance, position, and spatial awareness. Effectively, sufferers experience symptoms of sea-sickness, along with several related pathologies. It turns out all this has been well known since the 1980s, when the US Department of Energy commissioned a report on wind turbine health effects — the report subsequently published by physicist Dr. N D Kelley and his colleagues at the Solar Research Institute in Golden, Colorado, bearing the title, “A Methodology for Assessment of Wind Turbine Noise Generation,” Transactions of the American Society of Mechanical Engineers, v. 104 (May 1982), pp. 112-120. Further, there is evidence that the strong resonances found in the acoustic pressure field within rooms [in people’s homes] . . . indicates a coupling of sub-audible energy [infrasound] to human body resonances at 5, 12, and 17-25 Hz, resulting in a sensation of whole-body vibration (p. 120). I discovered the same thing in my research. What Kelly et al. refer to as a “sensation of whole-body vibration,” I refer to as Visceral Vibratory Vestibular Disturbance (VVVD): “The internal quivering, vibration, or pulsation and the associated complex of agitation, anxiety, alarm, irritability, tachycardia, nausea, and sleep disturbance together make up what I refer to as Visceral Vibratory Vestibular Disturbance (VVVD)” (Wind Turbine Syndrome, p. 59). Five years later, Dr. Kelley gave a follow-up paper at the Windpower ’87 Conference & Exposition in San Francisco, titled “A Proposed Metric for Assessing the Potential of Community Annoyance from Wind Turbine Low-Frequency Noise Emissions.” Just so you understand the terminology, “emissions” means “noise & vibration.” And the term “low frequency” includes infrasound. And the antiseptic phrase “community annoyance” is code for Wind Turbine Syndrome — except the name had not been coined in1987. (I created it decades later.) Kelley’s research once again had been funded by the US Department of Energy, Contract No. DE-AC02-83CH10093. We electronically simulated three interior environments resulting from low-frequency acoustical loads radiated from both individual turbines and groups of upwind and downwind turbines. . . . 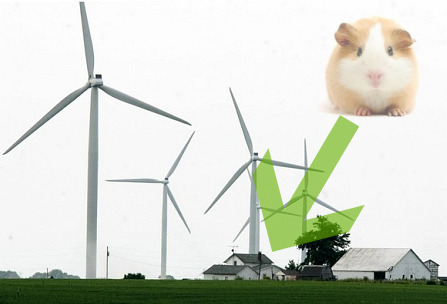 Experience with wind turbines has shown that it is possible . 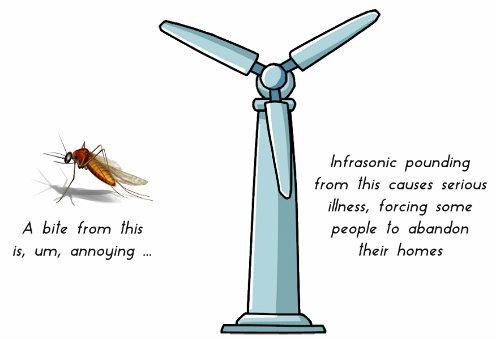 . . for low-frequency acoustic noise radiated from the turbine rotor to interact with residential structures of nearby communities and annoy the occupants. . . . The modern wind turbine radiates its peak sound power (energy) in the very low frequency range, typically between 1 and 10 Hz [i.e., infrasound]. . . . 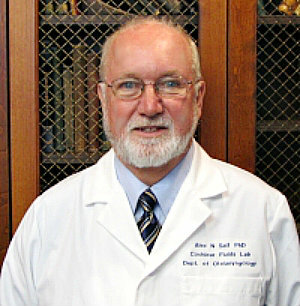 Besides my research, which pretty much duplicates Kelley’s, there is the work of Dr. Alec Salt, Professor of Otolaryngology in the School of Medicine at Washington University (St. Louis, Missouri), where he is director of the Cochlear Fluids Research Laboratory. Professor Salt is a highly respected neuro-physiologist specializing in inner ear disorders and in particular the mysteries of the cochlea. Prof. Salt’s research dovetails with mine and with Dr. Kelley’s. For many years, acousticians and noise engineers have vigorously maintained that “if you can’t hear it, it can’t hurt you.” That is to say in the case of wind turbines, “If you can’t hear the low-frequency noise in the infrasound range, it can’t hurt you.” (lnfrasound, by definition, is noise below the hearing threshold, typically pegged at 20 Hz and lower. People feel infrasound in various parts of the body, though typically they cannot hear it.) In any case, Professor Salt and his colleagues have demonstrated conclusively, definitively, that infrasound does in fact disturb the very fine hair cells of the cochlea. While the Chief Scientist [the person who came to take sound measurements in her house] undertaking the measurement informed me that he was aware of the low frequency hum the turbines produced (he lives close to a wind farm himself, and had recorded the humming noise levels indoors in his own home) he advised that I could tune this noise out and that any adverse symptoms I was experiencing were simply psychosomatic. . . .
No one has ever evaluated whether tympanostomy tubes alleviate the symptoms of those living near wind turbines. From the patient’s perspective, this may be preferable to moving out of their homes or using medical treatments for vertigo, nausea, and/or sleep disturbance. The results of such treatment, whether positive, negative, would likely have considerable scientific influence on the wind turbine noise debate…. I suspect you are beginning to get a clear picture of the problem — and why I’m writing to you. The solution is simple: industrial wind turbines must be set back, well away from people’s homes, schools, places of work, and anywhere else people regularly congregate. In my 2009 report, I recommended a minimum setback of 2 km in level terrain. Studies done around the world since then have persuaded me that 2 km is not sufficient, especially in hilly or mountainous terrain — as with Cesme. In Cesme’s case, setbacks should be more on the order of 5 km or greater. 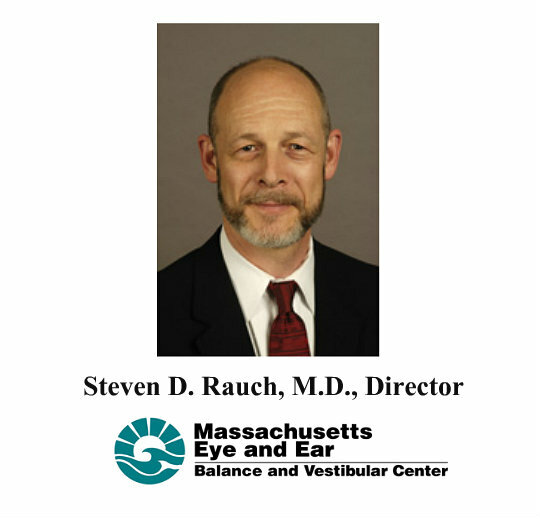 “The patients deserve the benefit of the doubt,” Rauch says. “It’s clear from the documents that come out of the industry that they’re trying very hard to suppress the notion of WTS and they’ve done it in a way that [involves] a lot of blaming the victim” (“Big Wind Is Better Than Big Oil, But Just as Bad at P.R.,” by Alex Halperin in The New Republic, June 16, 2014). Shifting gears, a group of mechanical engineers at the University of Minnesota recently mapped the airflow turbulence patterns of a 2.5 MW wind turbine. 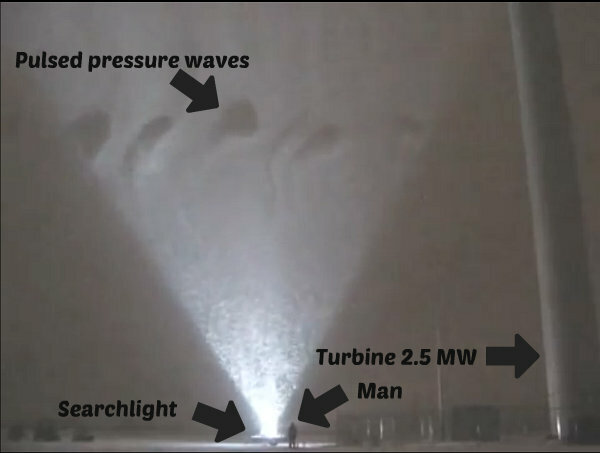 Their technique was ingenious: “A large searchlight with custom reflecting optics generated a two-dimensional light sheet next to the 130-m-tall wind turbine for illuminating the snow particles in a 36-m-wide by 36-m-high area.” They literally mapped the vortices being hurled off the turbine blades, using a blizzard (!) as a kind of background screen. Visit this website to see and savor the dramatic results. You are looking at the huge, pulsed, sound pressure waves responsible for Wind Turbine Syndrome. (The Minnesota group published their article: Jiarong Hong et al., “Natural Snowfall Reveals Large-Scale Flow Structures in the Wake of a 2.5-MW Wind Turbine,” Nature Communications, vol. 5, no. 4216 (June 2014). The relative amount of low-frequency noise is higher for large turbines (2.3–3.6 MW) than for small turbines (2 MW), and the difference is statistically significant. The difference can also be expressed as a downward shift of the spectrum of approximately one-third of an octave. 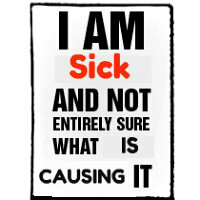 In medicine, we clinicians are morally bound to exercise what’s called the “precautionary principle.” That is, if we don’t know for certain that a procedure is harmless, we are obliged to exercise extreme caution in performing the procedure, in this instance building industrial wind turbines — which are well-known to produce impulsive (i.e., amplitude-modulated) infrasound — near people’s homes. This is, after all, common sense. 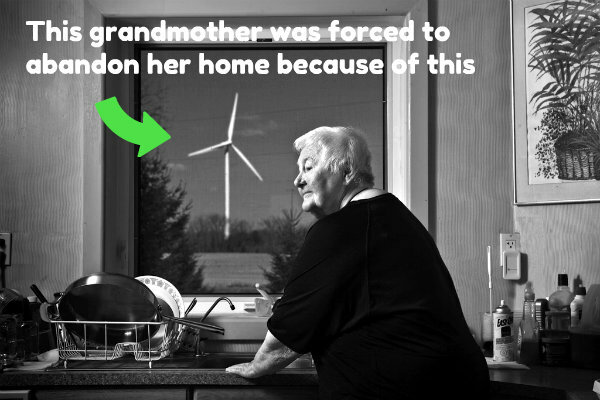 There is no excuse for building wind turbines in proximity to people’s homes. Once again, Dr. Pierpont has done an exceptional job in warning the wisely concerned residents of Cesme, Turkey, with valuable facts that should alarm everyone in their community, and everyone anywhere in the world who has the opportunity to read her letter. The links within the body of the letter are well-worth following for those who want to learn the truth about Industrial Wind Energy. I’m sure they mean well, but, are they suggesting that a procedure intended to be temporary, albeit over six months or so, might be an acceptable alternative? WE ARE THE VICTIMS HERE! Why should we be the ones to even consider surgery when we’re not the criminals causing the problem? The wind industry has known that their monstrous machinery causes adverse health effects since at least the 1980s. Now, these professors seriously consider the possibility that we could be forced to resort to repeated temporary, otherwise unnecessary, surgeries on the unlikely chance that we could stay in our homes to continue being subjected to this MAN-CAUSED DESTRUCTION!!! We’re already lab rats and guinea pigs to mad pseudo-scientists, businessmen, government officials/agents, etc., who have NO concern, sympathy, empathy, nor compassion for THEIR VICTIMS! The industry knows full-well what they are doing to us. I believe they take sadistic pleasure in the power-trip it gives them, knowing they are torturing untold numbers of humans and animals with 21st Century versions of the “rack” — and getting paid handsomely to do it! Ahh, but, whether the surgery proved positive or negative, the scientific influence upon the debate would be considerable! And the rats and guinea pigs will either feel better and live longer, or feel no different and die sooner. Yes, but, the debate would be considerably “influenced!” Researchers would have new fodder with which to experiment for the next few decades while we suffer and die. . . .
No human being should ever be asked to allow “Band-Aid” surgical procedures in his ears, just because he can’t or won’t move away from the MAN-MADE CAUSE OF HIS AFFLICTION. WE’RE NOT THE ONES WHO NEED TO MOVE!!! WE ARE ALREADY VICTIMS OF AN UNSPEAKABLE CRIME!!! WE SHOULDN’T BE FORCED TO MOVE OR SUFFER AND DIE!!! AND WE DON’T NEED DR. FRANKENSTEIN EXPERIMENTING IN OUR EARS!!! Nikola Tesla studied infrasound extensively and concluded that it is destructive to living cells. This was a monumental discovery, and now, decades later, it should be considered along with the ESSENTIAL discovery by Dr. Pierpont that the inner ear, and its influence, is significantly impacted by wind turbine infrasound. The proof is blatantly evident that Wind Turbine Syndrome is real. 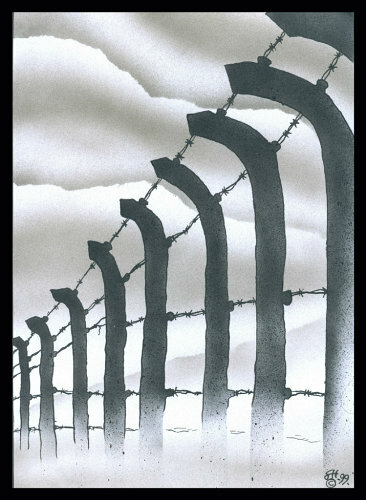 The only reasons the turbines still turn and we continue to suffer, are the evil ulterior motives of the perpetrators, and the indoctrination of the masses. In 1987, Dr. Kelley, et.al., reported that: “low-frequency acoustical loads radiated from both individual turbines and groups of upwind and downwind turbines. . . .” I can attest to this fact in my own community’s experience. Our symptomatology increases and decreases as our predominantly SW winds — upwind to the turbines most of the time — shift through the compass directions, with the 2.2MW turbines northwesterly to southeasterly across the center of the circle. The worst times are when the wind is out of the NW. It is at least approximately 10.5 – 13 miles ENE to the nearest IWT. 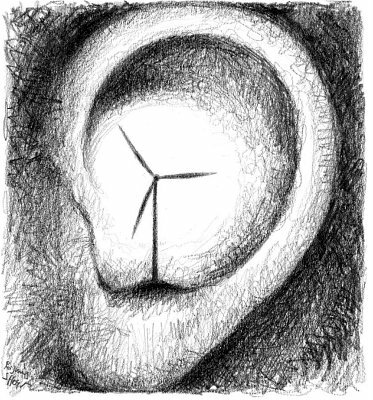 If the difference between “low-frequency noise” of 2.3 – 3.6MW and 2.2MW turbines is statistically significant, and the 2.2MW turbines at least ~10.5-13 miles distant, forced me and others from our homes — and are adversely affecting others — then, just imagine how far and how seriously the larger ones will destroy lives! Yes, Dr. Pierpont, the setbacks must be more than 2km; 5km is a start and may well be enough for now, in the particular conditions in Cesme. But, I will rejoice when more researchers believe there are those of us in different localities who are being victimized by IWTs at much greater distances. . . . 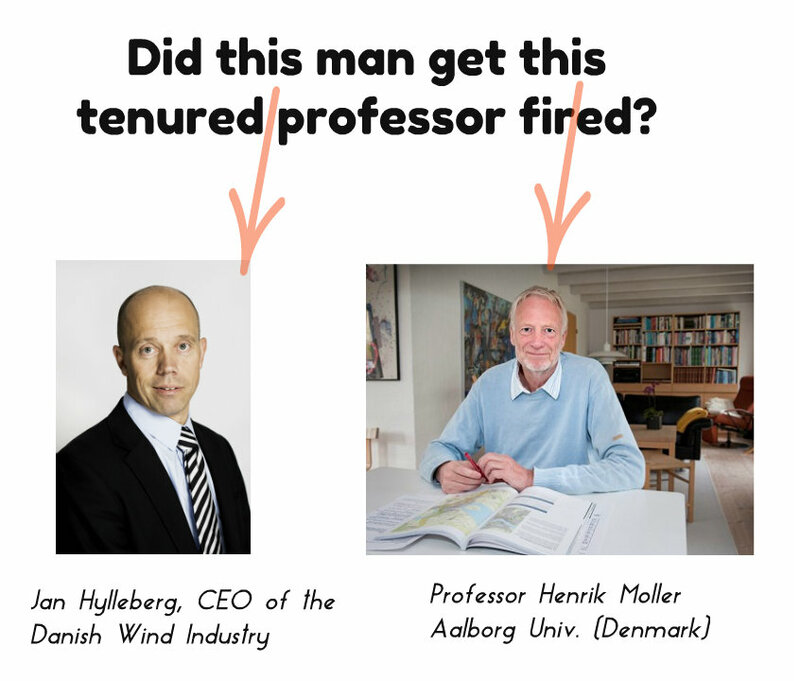 If the evidence in Dr. Pierpont’s letter does not convince the reader that there is something rotten in the wind industry, and in all the governmental, pseudo-scientific, and media support for it, NOTHING WILL. Many people worldwide are like blind sheep, believing the lies out of ignorance and trust. However, if truth is presented and they still reject it, their willful blindness becomes guilt, as they aid and abet the crime. THERE IS NO SAFE DISTANCE FOR WIND TURBINES ON PLANET EARTH!!! WIND ENERGY WILL NEVER SAVE THE PLANET!!! I just want to say that we are on your side. Do not let this happen. Wind turbines are taking away the most important thing we have — our mental and physical health. We are dealing with the same kind of problems, and dr. Nina Pierpont and her husband Calvin Luther Martin are always ready to help. 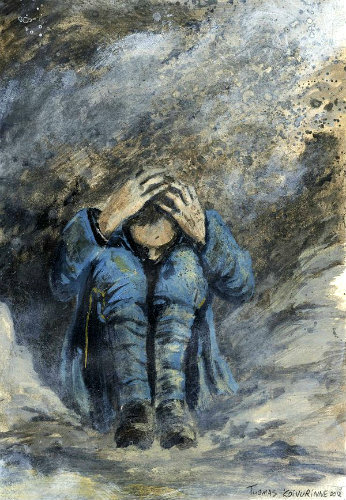 Do not forget, you are not alone in this terrible war; WW4 and Slovenia are with you. To Madeleine Kura, I can say with great sincerity, that I know and understand how you must feel. My own town is a naturally and architecturally beautiful place by the sea, just as Cesme is. Unfortunately, it lacked the economic and political power necessary to fend off the onslaught of wind developers in collusion with government officials. I know firsthand the looming shadow of social injustice and turmoil cast by these destructive mechanical monsters as they approach. 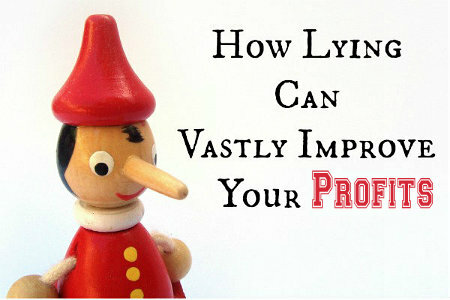 I’ve heard all the sickening lies, deceptions, and false promises of wind developers and their crony capitalist cohorts. It is easy to feel over-matched, but you must do all that you can to fight this while you still can. 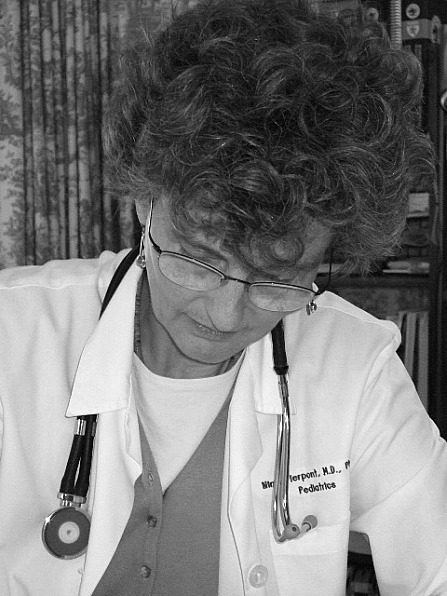 Asking Dr. Pierpont for help was a very important first step. I did the same. Now it is your job to make sure that people in Cesme hear what she, and those she cites, have said. As Plato said, truth without power is impotent. 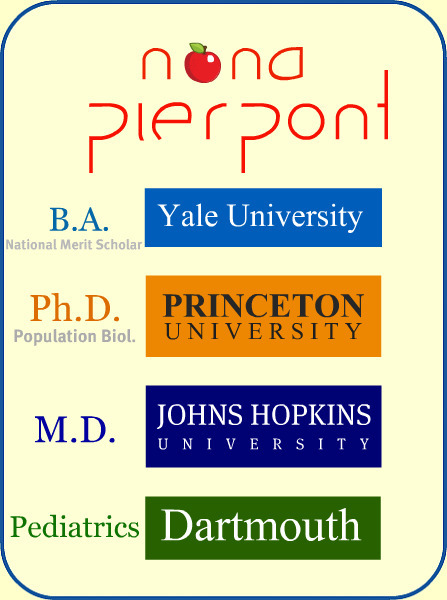 To Dr. Pierpont, I must say thank you once again for doing what you have done for Madeleine and Cesme, just as you did for me and Fairhaven. 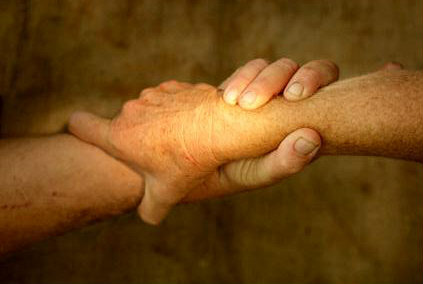 It is no small thing to lend what you have learned about illness and health, to those who need it most. If only all doctors took their responsibilities as seriously as you do.